After receiving the text of The Secret of the Golden Flower and being asked to write a commentary on it by Richard Wilhelm, Jung stopped work on the transcription of the text of The Red Book into the calligraphic volume, and turned to the study of Eastern texts, researching to what extent the symbolism of the process of individuation, in his own case and that of his patients, resembled and coincided with what could be found there. The project was nothing less than developing a cross-cultural trans-historical comparative study of the individuation process. 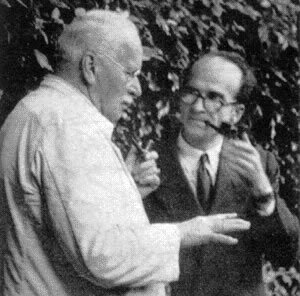 The study of Indian texts, yoga and meditation practices played a prominent role, and Jung embarked on a series of collaborative interchanges with the leading Indologists of his day, in which they jointly explored the relations between Jung’s developing psychological conceptions and Indian texts and practices. This volume presents his correspondences with Wilhelm Hauer (1931-1938), Heinrich Zimmer (1932-1941) and Mircea Eliade (1948 to 1960).